With CES 2017 just around the corner, tech companies have already started to announce the products they will showcase at the upcoming trade show. The Xiaomi-backed Yi Technology today reveals the Yi Erida drone and the Yi 4K+ action camera. The new action camera is an updated version of the Yi 4K, which made its debut earlier this year. The biggest change is the addition of a 60FPS mode when recording videos in 4K resolution, which is a first for any action camera. Does it matter? Well, if you are using an action camera to shoot action videos, then the answer is yes. Having the option to record 4K video at 60FPS will come in handy when trying to capture fast moving objects, as it makes the videos look much smoother in comparison to the current maximum, which is 4K at 30FPS. Yi Technology is not saying anything else about the Yi 4K+, so I suspect that it will be pretty much identical to its predecessor, save the aforementioned improvement in video recording options. The older model features a touchscreen display on the back and pretty good battery life, so it already serves as a competitive starting point. The Yi Erida is a more interesting product. 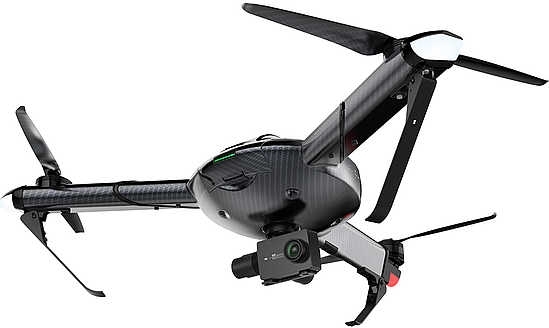 It's got a Yi 4K action camera, three-rotor design, up to 40 minutes of flying time and a maximum speed of up to 75mph (120kph). There is also a gimbal system, which will keep the camera steady to deliver smooth video recording, an advanced radar and sensor system, and manual camera controls. The Yi Erida, Yi Technology says, can be controlled using a mobile app, which it claims makes "a remote obsolete". The Yi 4K action camera can deliver up to two hours of battery life, but the limitation is set by the drone's internal battery. We will learn more about the two new products early next month, when CES 2017 kicks off in Las Vegas.